This set of Davion square mirrors brings a stylish pair to any room in your home. 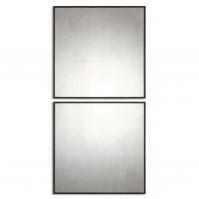 Each mirror measures 18 inches square including the frame. 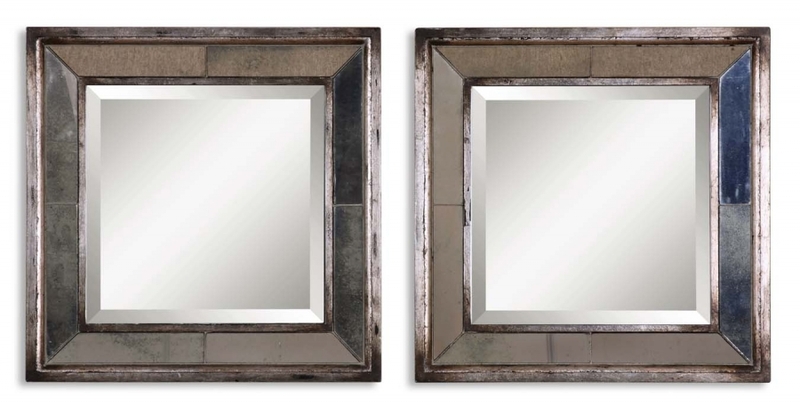 The unique frames are constructed from antiqued mirrors and further finished in antique silver leaf with black highlights and burnished edges. You could choose to mount these mirrors stacked, side by side or facing each other in a hallway. In fact, there are dozens of ways you can use these little pieces of elegance to decorate your room and you will have fun coming up with ways to incorporate these high quality pieces into your decor.